The highlight of my Virginia Beach weekend. 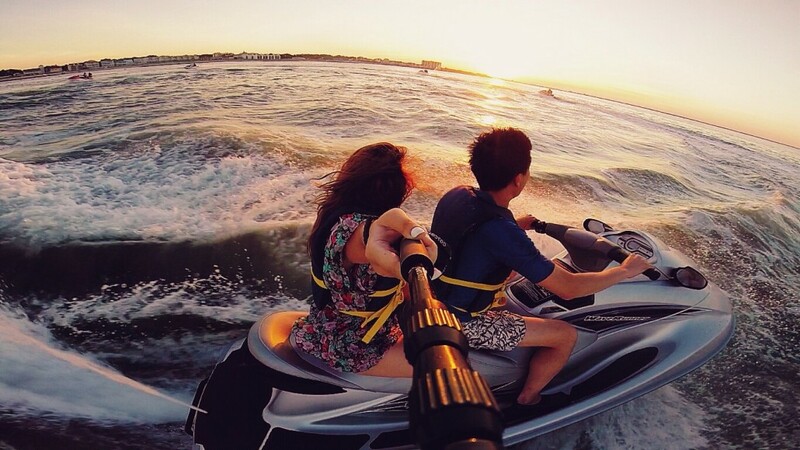 It was our first time on a jet ski and the adrenaline is still pumping! We took a jet ski dolphin tour with Great White Water Sports and sped up 50-60mph in the open waters. Although, I couldn’t film when we went above 20mph, the memory is ingrained. Also, I couldn’t capture the dolphins! They were a little too fast for me this time. More dolphin love!!! Sailing in Hawaii and Getting a Ride in Orlando.